Buy Phentermine 30Mg Online This compilation of Loess rarities and unreleased material, old and new, is a pleasant surprise. Bass-heavy beats on “Lull” meld with shifting, atonal electronic horns. “Schoen” is more low-key, with layers of drones and rattling percussion. “Troper” picks up the pace again with a hip-hop beat. Two lines of breathy notes form a duet of sorts. http://charlotteskitchendiary.com/category/uncategorized/feed/ “Bud” feels new, contrasting dubby reverb with a flat tapped beat. “Selkuth” is long, but indistinct. I feel like it’s always on the verge of melody. “Spetaelska” is obviously influenced by Boards of Canada, sounding like a warped music box. Nyckel is more original, with instrumentation that feels Middle Eastern. “Cyanor” is even better, with encompassing treble organ and pulses of distortion. Buy Zolpidem Hong Kong This album strikes me as a celebration of the past ten years of electronica. For the most part, these sounds no longer seem futuristic, but they make for a good Sunday morning listen. Who would have thought IDM would become my comfort music? 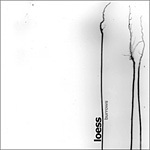 As a side note, it’s great to see Loess’ Nonresponse label resurrected after a five-year absence. The new Proem album Till There’s No Breath is straight-up IDM as well. Buy Xanax And Valium Online Concise review. Now if only my cd would arrive I could listen to it in all it’s glory. Troper appears to be the loess remix of chrometaphor by gridlock…. or am I getting confused here? This album strikes me as a celebration of the past ten years of electronica. For the most part, these sounds no longer seem futuristic, but they make for a good Sunday morning listen. Who would have thought IDM would become my comfort music? Their eponymous release and follow up CD – Wind & Water on the n5MD label brought comparisons to Boards of Canada. Even a mix and mingle of odds and ends at this moment will double doubt a thread of fall off if any. I’ll tell you more upon hearing a copy. some really beautiful mesmerizing tracks on this album…..